The lab will feature a $9.9m Next Generation Vessel Traffic Management System Lab. 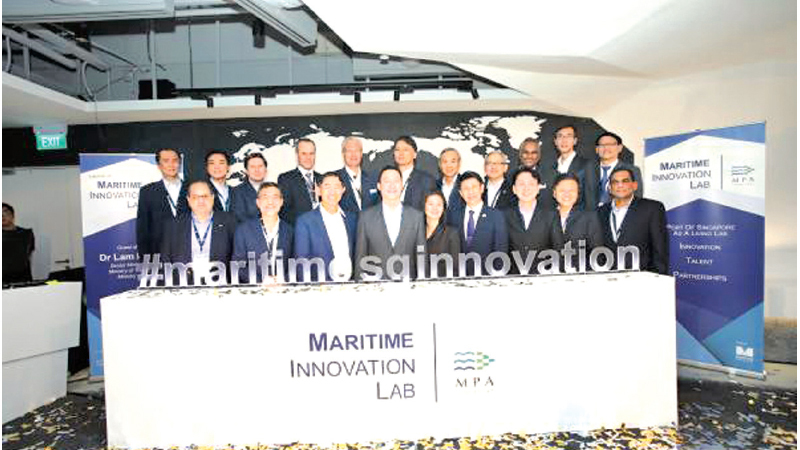 The Maritime and Port Authority of Singapore (MPA) has launched a Maritime Innovation Lab (MIL) to enhance the industry’s capabilities as part of the Sea Transport Industry Transformation Map. Located at PSA Vista in Pasir Panjang, the 500 sqm MIL will provide a space where industry partners, research institutes and local universities can plug into the test beds, a data hub and regulatory sandbox to develop maritime solutions and capabilities. The MIL also adds to existing efforts to enhance the maritime ecosystem following the launch of PSA living lab and Jurong Port Living Lab in 2016 and 2017. The MIL will also house the $9.9m Next Generation Vessel Traffic Management System (NGVTMS) Lab launched by ST Engineering and Kongsberg NorControl. The project aims to enhance the development of new vessel traffic capabilities, such as an advanced data communications system for information exchange between ships and port authorities and oversee collaborations with A*STAR. ST Engineering, PSA Marine and MPA are also collaborating to design and develop a remotely-assisted pilotage advisory that will incorporate Internet-of-Things sensors and communications systems. For intelligent ship operations, the MPA has set up a cross-agency Steering Committee to develop strategies, including an implementation roadmap of autonomous maritime operations and capabilities, and a regulatory sandbox where they will facilitate the test-bedding of projects and trials that enable Singapore’s port to receive Maritime Autonomous Surface Ships. To support this goal, the MPA has initiated five autonomous ship projects including Smart Maritime Autonomous Vessel, Autonomous Flotsam Clearance Vessel, IntelliTug and Keppel Autonomous Tug. ST Engineering, Mitsui & Co. Ltd, MPA and Lloyd’s Register have also embarked on the world’s largest ocean-going Autonomous Vessel Programme to jointly develop and validate navigation intelligence for autonomous ocean-going vessel operations. The MPA also launched the Singapore Maritime Data Hub (SG-MDH), a one-stop data repository, to catalyse the development and test-bedding of innovative digital applications and services for the maritime industry.